We use R2C filters on our cars because they eliminated the issues we had with dirt on the air cleaner base, in the carburetor and in our engines. R2C filters are also easy to maintain. We can blow them out at the track and they're ready to go. No more filter oiling to deal with. Billy Moyer and Billy Moyer Jr.
*Now available with new 1800 CFM+ Black Hex Series race media for unmatched horsepower! 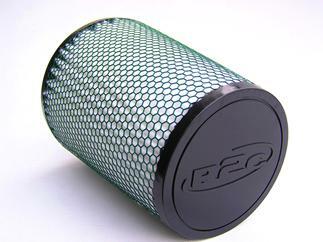 R2C premium 1200 cfm+ high performance air filters for Mustang Bullitt applications. 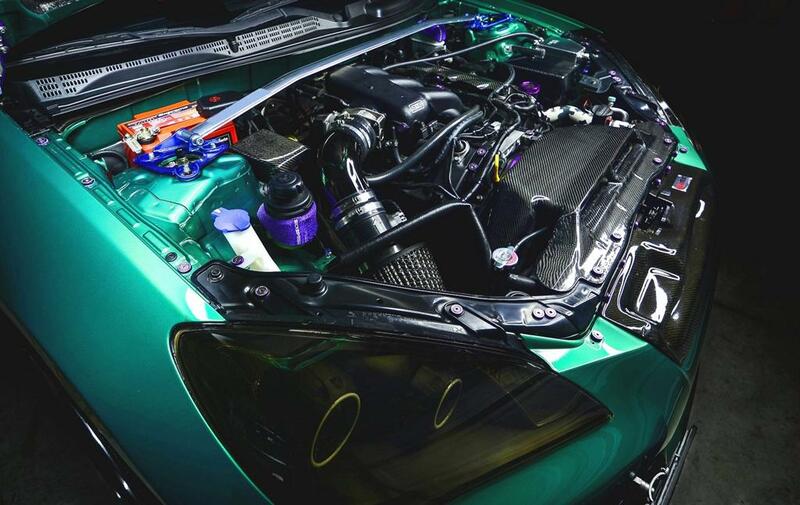 In an effort to provide low restriction, higher horsepower intake performance for Mustang Bullitt applications, invariablly, engine protection had to be compromised. 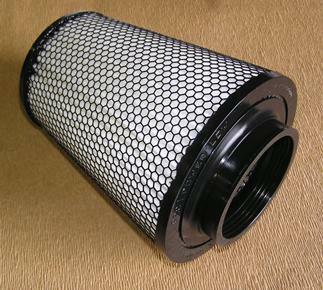 In order to offer low restriction, competitive brand air filters produced efficiency levels below that of OEM filters. The result is more damaging particulate entering your Bullitt's engine. In addition, the restriction levels increased dramatically once dust loading began. R2C introduces the best performing, low restriction, lifetime air filter available for Bullit owners without compromising engine protection. In fact, at 99.77%+, R2C filter efficiency exceeds that of OEM filters and offers the lowest restriction levels over the life of the filter. Plus, no more solvent cleaning or oiling is required. While fully washable using biodegradable cleaners, routine maintenace is accomplished by simply directing 50-60 PSI compressed air from the inside surfaces outward and the filter is ready to go. Never spend a penny on maintenance! R2C filters will last as long as you own the car and provide unmatched performance and engine protection. Improve your Mustang Bullitt performance today! Low Restriction clean and when dust loaded! Unmatched engine protection - Better engine protection than the factory filter! Simple maintenance - restore your filter with compressed air or vacuum and it's ready to go in minutes. R2C filters are available with a color matching Highland Green screen. Now available! R2C's new Black Hex Series street/race filters for Bullitt Mustangs. Sizes available for both Bullitt factory air boxes, narrow and wide. Measure your filter at its widest point and select the correct size for your application.